This week I wanted to build off of my previous Jazz YouTube Channel posts, and share some more channels dedicated to music. Read Jazz YouTube Channels and Jazz YouTube Channels 2. The Thelonious Monk Institute is a nonprofit music education organization dedicated to jazz education. The Institute has an annual competition, hosts a graduate-level program, and organizes education programs in public schools throughout the United States. The Monk Institute YouTube channel has footage from past competitions, as well as a few masterclasses. My favorite video on the channel is a masterclass with drummer Max Roach where he teaches public school children about improvising. New York University is an American college with an active jazz program. Its YouTube channel is an invaluable resource to learn about jazz and it contains many interviews with jazz musicians, including Joe Lovano, Herb Alpert and Wayne Shorter. My favorite video is an interview with saxophonist Wayne Shorter where he talks about the power of superheroes. 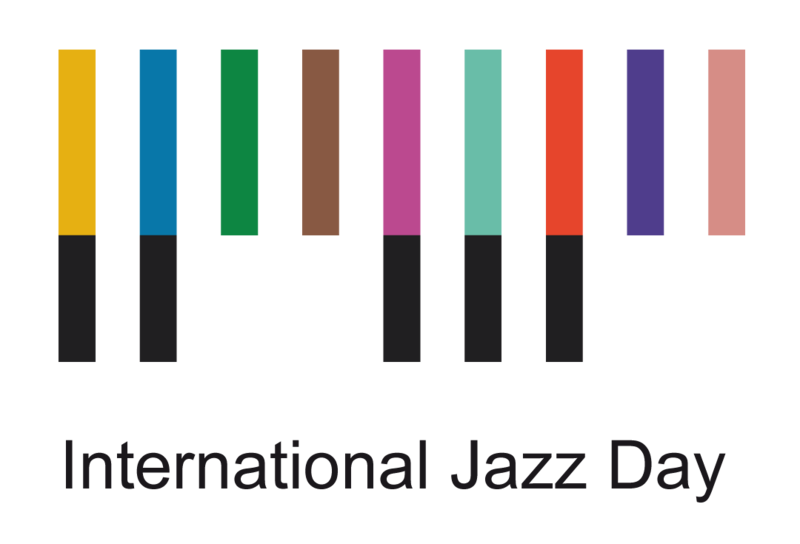 International Jazz Day is an annual event hosted by UNESCO to celebrate jazz as a tool for peace and unity among world cultures. This year the event will be hosted at the White House with President Obama. The International Jazz Day YouTube channel promotes this event, as also has footage from past events. One of my favorite videos on this channel is a video from the 2012 festival, with vocalist Lalah Hathaway, bassist Esperanza Spalding and trumpeter Roy Hargrove. My Music Masterclass is a YouTube channel dedicated towards providing online musical lessons. This channel is a great resource for musicians, beginning or professional, since the videos share insights on all aspects of playing music. One of my favorite videos from this channel is saxophonist Dave Liebman's masterclass where he talks about how melodies have a clear beginning and ending. Loyola University in New Orleans and hosts a College of Music and Fine Arts. The YouTube channel for this division of the college has videos of masterclasses, lectures, and workshops with various musicians including Ron Carter, Rufus Reid, and Gary Burton. One of my favorite videos from this channel is a masterclass with bassist Ron Carter where he speaks about his personal journey as a musician. YouTube is a great resource to discover music through online masterclasses, lectures, concerts, and workshops. Please subscribe to Kind of Pink and Purple by email (top right of the page) and follow on other social media: Twitter, Tumblr, Instagram, Google Plus, Pinterest. Also, please visit my jazz poetry blog, Without a Poem and my musician website. Since September 2015 I have been the JazzBoston newsletter writer-editor. Please sign up for the monthly newsletter to learn more about the Boston jazz scene. A woodwind multi-instrumentalist who plays baritone saxophone, clarinet, bass clarinet, flute and more, Grace-Mary is a third year student at Berklee College of Music, where she is pursuing a duel degree in film scoring and performance, with a minor in writing for TV & new media. Her love of jazz is evident on her own jazz education website for teenagers, Kind of Pink and Purple, as well as her jazz poetry blog, Without a Poem, where she creates a multi-media resource for her peers to find an entrance into the jazz world.